Often Oil and Gas operational sites are located in remote areas making the accessibility a critical factor for operations and health & safety. Asphalt airstrips are both impractical due to in-situ soils and cost prohibitive. 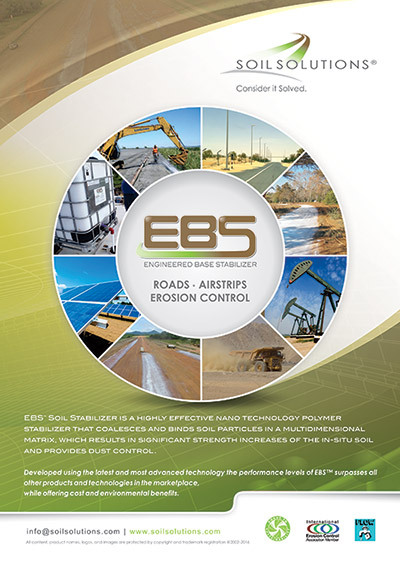 Soil Solutions has a proven track record in the construction and upgrade of gravel airstrips that provide an All-Weather – Water Resistant Surface making accessibility safe and easy as well as reducing maintenance. Soil Solutions has developed several different methodologies for the stabilization of drilling pads, which solution is right for your project will be dependent upon the type of soil and the duration of the drilling. If the area is sand – stabilization in combination with a geogrid/textile may be the right solution. Other projects we have been involved with required a deep compaction solution. If the in-situ material is more suitable Durasolution or an EBS Surface Seal may will be the correct answer. A Soil Solution representative will work with you and your team to access the project, environment, and requirements and develop a specifically tailored solution, starting from the design stage through to developing a detailed methodology, on site management, and a maintenance programme. Soil Solutions provides simple and east solutions to the lining and or covering treatment to protect the pipeline from exposure and damage. In addition there are practical and sustainable solutions for the construction and maintenance of the access roads to and along the pipeline locations. There are several factors that are taken into consideration including the climate and location and materials being used, and depth. We invite you to contact us as to what challenges your Oil and Gas project are facing and see how we can assist.